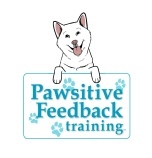 Pawsitive Feedback Training © 2014 All rights reserved. Pawsitive Feedback offers dog and puppy training in Los Angeles, Brentwood Santa Monica, Beverly Hills, Culver City, Mar Vista, Hollywood, Venice, Marina Del Rey, Palms San Fernando Valley and the beach communities. At Pawsitive Feedback our approach is based on positive reinforcement and modern methods of animal training.